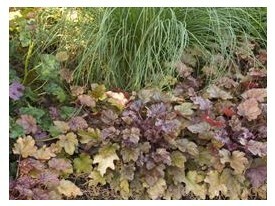 Product Information : Glowing peach foliage infused with red turns plum-purple in winter. Larger, smoother, more brightly colored foliage than 'Amber Waves' and 'Marmalade'. White flowers.